Each week in the Infants Assembly, a class of the week is chosen. A "Mystery Teacher" looks for the class that is being safe, responsible, respectful learners during the assembly. When chosen as Class of the Week, students will have an extra member of class for the week, Buzzy Bee. Buzzy Bee gets to see and participate in the activities that Class of the Week are involved in. Students will then write about something that Buzzy Bee did with them during the week in his special book and have a photo taken. Positive Behaviour for Learning (PBL) is a whole school program that actively promotes positive behaviour. 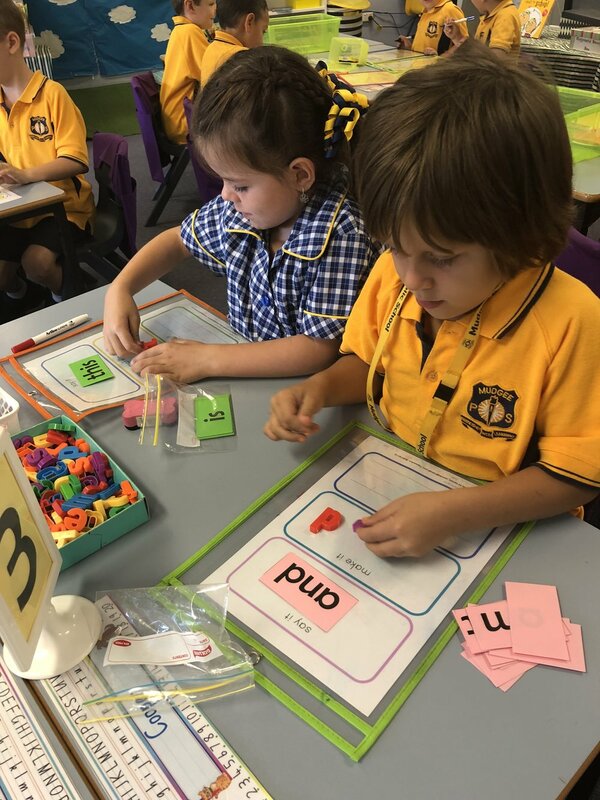 It enables students to develop a clear understanding of required expectations, become responsible for their own behaviour and work together to create a positive, productive and harmonious learning community. Our school-wide expectations are represented with a bee mascot: Bee Safe, Bee Respectful, Bee Responsible and Bee an Active Learner. PBL is a data driven program. Therefore, what we learn from the data, such as, specific inappropriate behaviours which we need to address, effects what we do throughout the school in PBL. A PBL committee meets on a fortnightly basis to organise the implementation of PBL and review data. Each week, the school will have an area of focus that involves explicit teaching and support of positive behaviours. Teachers and students will participate in lessons that involve discussion, role-play and reflection. Our school wide PBL universals define our expectations for all settings at Mudgee Public School. For more information, please view our Classroom and Non-Classroom Matrix. How is positive behaviour rewarded? In the classroom, teachers use coloured buzzies when they observe students displaying positive behaviours. 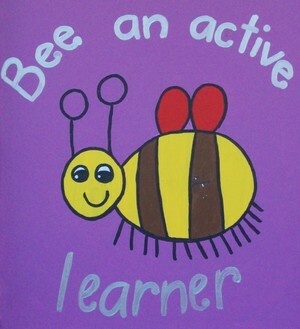 Some teachers may use a Bee Sticker Chart as an additional reward. Each classroom teacher is responsible for deciding how many buzzies need to be collected and what their classroom buzzies and sticker charts can be traded for. For inappropriate behaviour, all teachers use a time-out and level system. In the playground, teachers use playground buzzies (white) when they observe students displaying positive behaviours. Playground buzzies are stored in the classroom in a box until the next assembly. On the assembly, playground buzzies are tipped into a grade box where 3 students are drawn out from each grade. Winners can choose one of the following prizes: an ice block, computer time, free time, teacher’s assistance or a prize draw. All playground buzzies that are collected during the week are then tipped into the Buzzy Barrel. When a certain marker is reached, the whole school receives a reward. What is the award system for positive behaviour? Each week on assembly, teachers select a Student of the Week and give merit awards to students in their class for positive behaviour according to our school-wide expectations. The number of students in the class determines the number of awards that are given. Merit awards, of any kind, from any grade, can then be traded. Assistant Principal and Deputy Principal's Award: the classroom teacher sends a student to the AP or DP for excellent effort, work or behaviour. Principal’s Award: the classroom teacher sends a student to the Principal for outstanding effort, work or behaviour, or for completing their reading log. Principal’s Book Award: when students have collected 6 Principal’s Awards. Principal’s Gold Medallion: This award is presented to students in Year 6. To be considered for this award, students need to have achieved the Mudgee Public School Pennant and in addition to the collection for the pennant, once again achieved 1 Gold Certificate, 2 Principal Awards and 2 Assistant Principal Awards. As part of the consideration process, students need to complete a Gold Medallion Application Form and, in their own words, explain how they have demonstrated Positive Behaviour for Learning by being a Safe, Respectful, Responsible, Active Learner at Mudgee Public School. Student of the Week and Merit Awards are presented each week at Infants and Primary Assemblies. Bronze, Silver, Gold and Principal’s Book Awards will be presented at a PBL Assembly towards the end of each term. Anyone is welcome to attend our PBL Assemblies. An invitation will be sent to the parents of those students who will be receiving awards. Assistant Principal, Deputy Principal and Principal Awards will be presented to students by the AP, DP or Principal when the student is sent to them. These students will also have their name acknowledged in a School Newsletter at the end of each term. An invitation will be sent to the parents of those students who will be receiving awards.